Today is the last day of Convention…how did the time fly by so fast??!! I want to share another swap card with you. This one was for a Control Freaks swap. I know you know the “Freaks” since they are some of the most amazing stampers. I still have to pinch myself when I realize that I get to share cards with them. 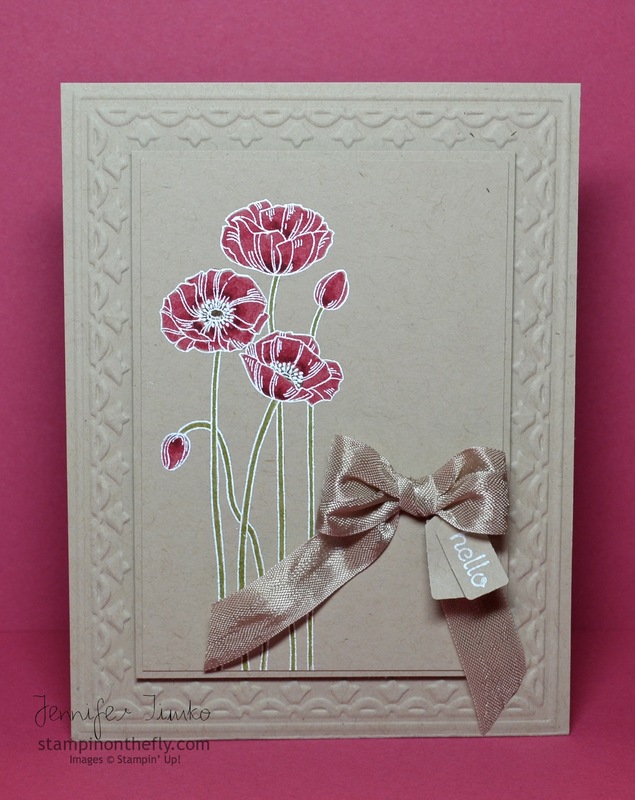 I knew that I wanted to use the flowers from Pleasant Poppies again for this swap. In fact, I have wanted to use this direct marker technique on the poppies since I first spied this set in the catalog. I simply love the pop of color against a Crumb Cake background (as evidenced by my pins in Pinterest). 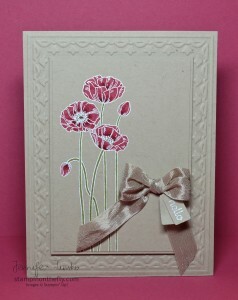 I started by stamping the flowers with Versamark and then embossing with White Stampin’ Emboss Powder. Then I colored with a Melon Mambo Stampin’ Write Marker and went back to highlight with a Raspberry Ripple Stampin’ Write Marker. The stems were colored in Lucky Limeade. I just love the Framed Tulips Embossing Folder and how it sets off a focal image so I thought it would be a nice addition to the monochromatic layers. I finished it off with a bow made from Crumb Cake Seam Binding and some little tags made with the Jewelry Tag Punch. The sentiment is from Teeny Tiny Wishes. This fabulous new set has so many possibilities and I can’t wait to continue trying new ways to color it. Shelli Gardner, the CEO of Stampin’ Up, has her New to You Creative Challenge and I’m going to enter this one there. So remember yesterday when I said that I felt like a groupie at a rock concert?? Well let me show you why. Take a look at the first picture on this link to Lyssa Zwolanek’s blog, Song of My Heart Stampers. Yes, it is me!! Ok, it is me with Lyssa and Cindy Elam (my roommate here and fellow SUO Challenges team member). Lyssa is one of the most generous stampers and was selected for the prestigious Founder’s Circle this year. So great to see such an amazing stamper rewarded for sharing what she loves with such grace! What a whirlwind Convention has been. I’ll have lots to tell you over the next couple of weeks and pictures to share too! Thanks for dropping by today. See you again soon! Okay my talented friend….this is GORGEOUS!!! Wow! I’m going to have to copy this (once I get that stamp!). WOW! Enjoy your last day!!!! OHMYGOSH I really love this card. I hope you don’t mind if I CASE it!! 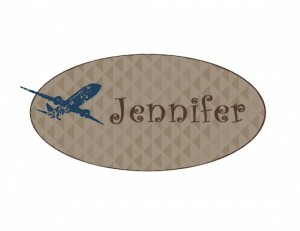 I am a big fan of colors on crumb cake too and just got this stamp set. Thanks for the inspiration! Wow … this is just STUNNING!!! Yay! I get to see this gorgeous card again! It totally rocked my world!! The poppies are so beautiful colored this way! I can’t wait to try this! Thanks for the shout-out! I was excited I got to meet YOU : ) Great card–great blog!